Scott and Tracy Lee’s house in Mill Valley, California, was built on a small hillside lot, which made for a challenging vertical floor plan. 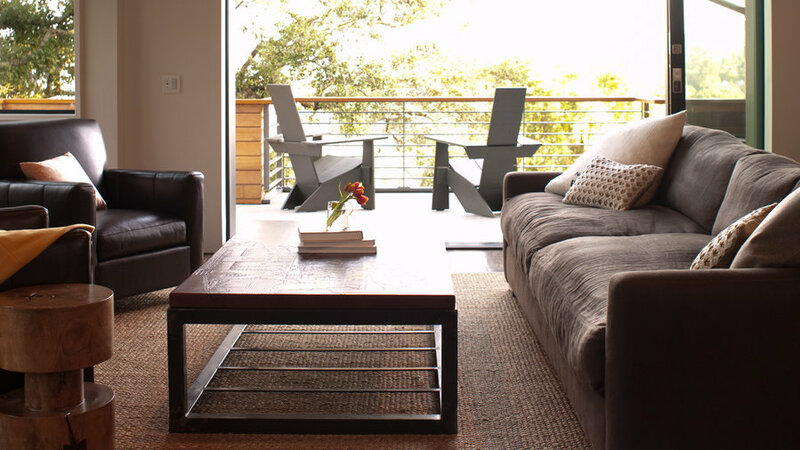 To compensate for lack of yard space, the home has as many outdoor rooms as it does indoor. On top of being breathtakingly beautiful, the 2,100-square-foot house, which Scott designed, was recently named the first LEED for Homes Platinum home in Marin County. Take the treetop home video tour courtesy of . Designer and architect Scott Lee shares how high design meets LEED-certified sustainability. 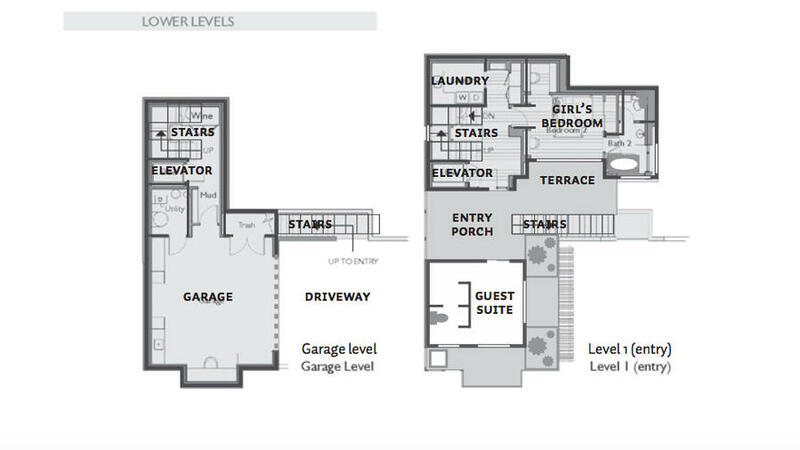 The top floor is essentially one large space that includes a living room, a dining room, a kitchen, and an outdoor (but roofed-in) family room—complete with barbecue and wine fridge. 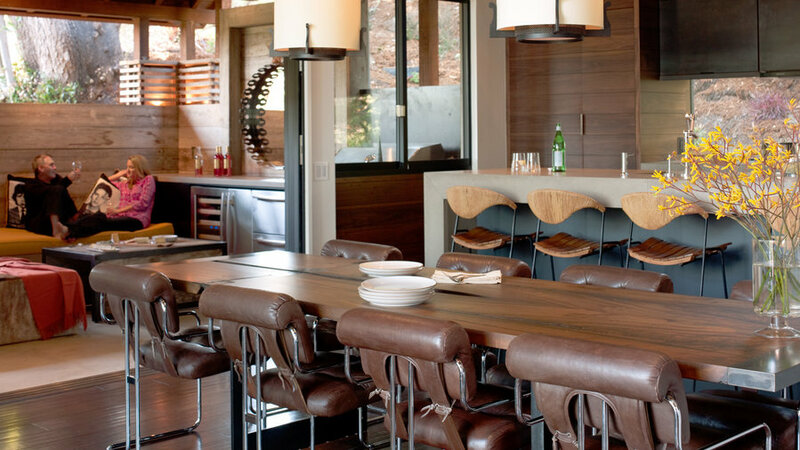 Sustainable resources: Reclaimed Douglas fir roof and beams, radiant-heat flooring, cabinets made from FSC-certified walnut, a dining table made from a salvaged tree, double-paned low-e glass windows and doors, antique pendant lights. An eco-friendly design concept should withstand the trends of time, points out the project’s interior designer, Erin Martin, so that rooms don’t have to be redone as styles change and children grow. In the girl’s room, the palette is neutral, though punches of color appear in transient accessories like the rug and a stuffed animal. Throughout the house, Erin used antiques and reclaimed materials wherever possible. 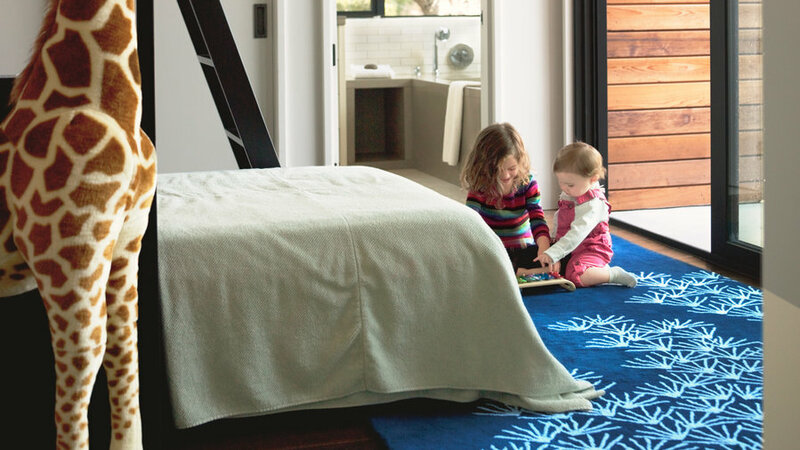 Sustainable resources: Organic cotton bedding, zero-VOC wall paint, wool rug. 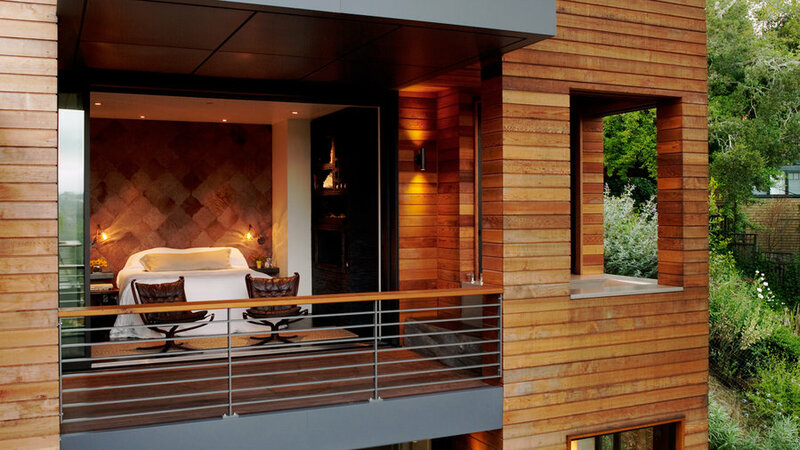 Almost every room has a balcony or deck, accentuating the treehouse feel and essentially doubling the living space. 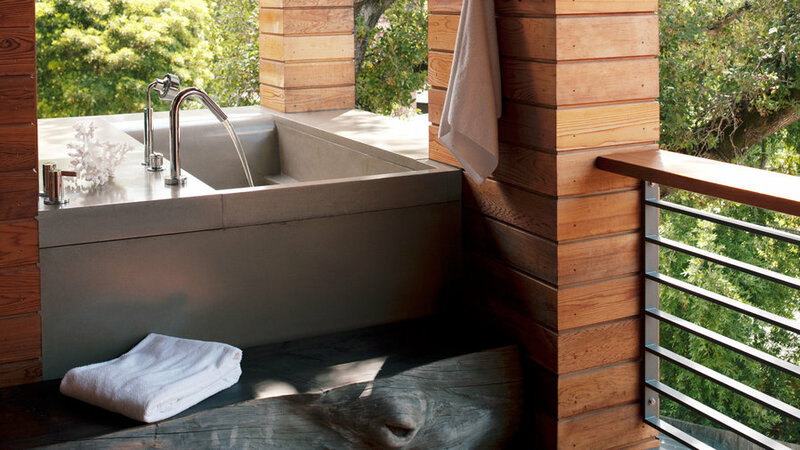 The master suite includes an open-air bathtub, accessible from the bedroom terrace and the bathroom shower. 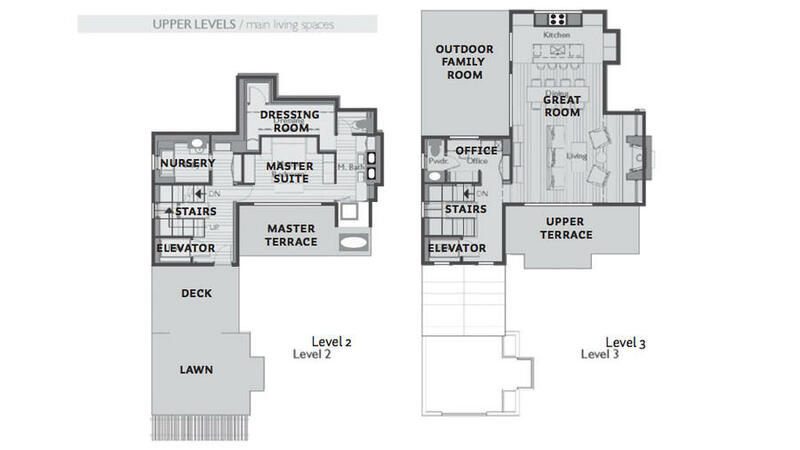 Off the second floor is a “lawn” where Tracy does yoga and the girls can play. Sustainable resources: Western red cedar siding, soy-based synthetic grass, 50 photovoltaic panels, 2 thermal solar panels. Team Hillside House: Scott Lee, architect; McDonald Construction & Development; Erin Martin Design. For a full list of contributors and resources, visit thehillsidehouse.com. Launched in 2008, Leadership in Energy and Environmental Design for Homes is a rating system for green building administered by the . From the use of low-flow faucets to the diversion of construction waste, each project is rated in eight categories, earning points toward a LEED-H level of Certified, Silver, Gold, or Platinum. This house got points in the “awareness and education” category, for instance, because Scott created a website (www.thehillsidehouse.com) pointing out the features of LEED homes.